With great passion and zeal in your beliefs, you can achieve your dreams. 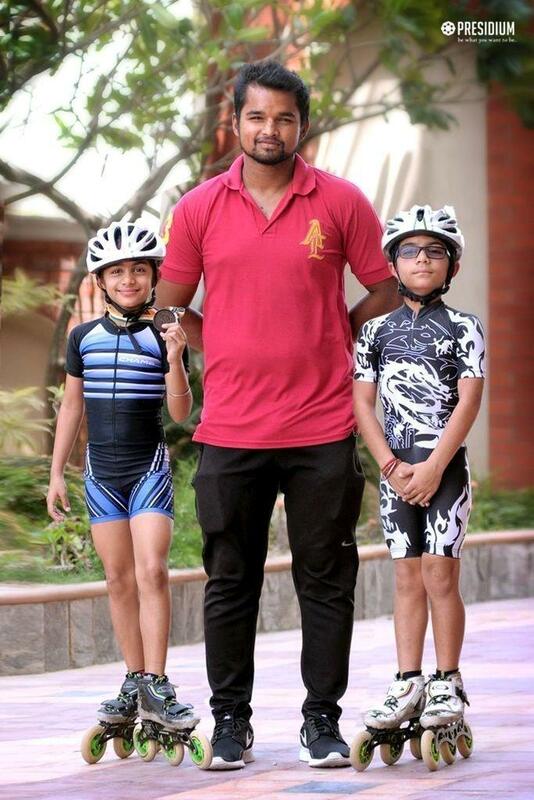 Our champion Roller Skaters have proved these words to be true by claiming a Gold, Silver and 2 bronze medals at the 3rd All India Gold Rink Race Roller Skating Championship, 2017. Presidians Udhyati Aggarwal of Class 5th, Bhavya Bajaj of Class II and Bhavit Bajaj of Class II, from Presidium Sonipat and Dwarka 16B, respectively, made us proud at the championship. 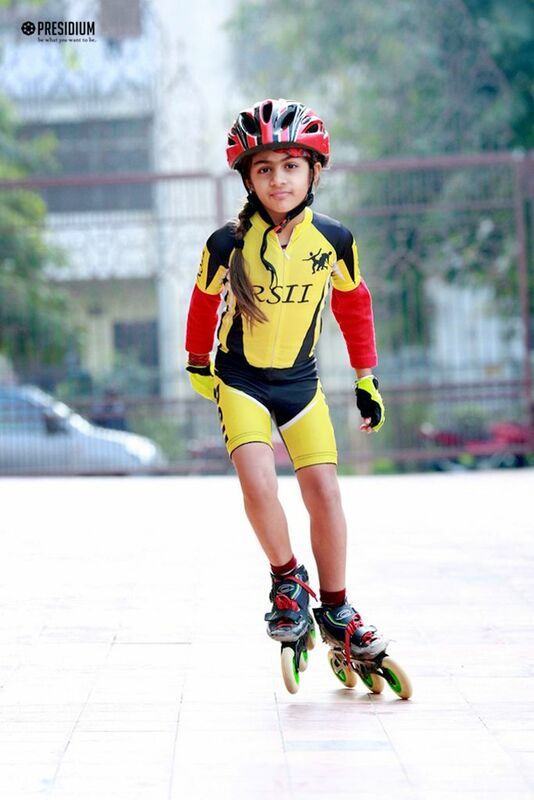 The event was organised by Indian Foundation of Ice and Roller Skating. 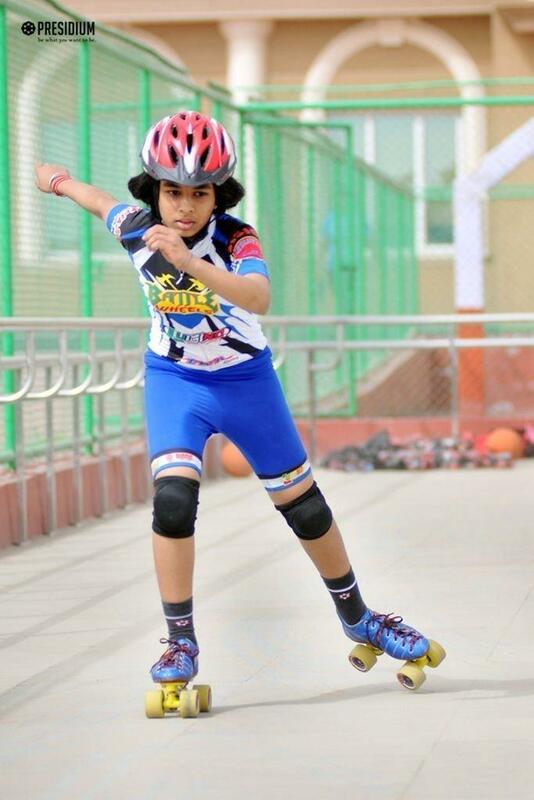 Our skating masters gave a tough competition to around 800 participants from more than 70 Schools, who participated in the event. 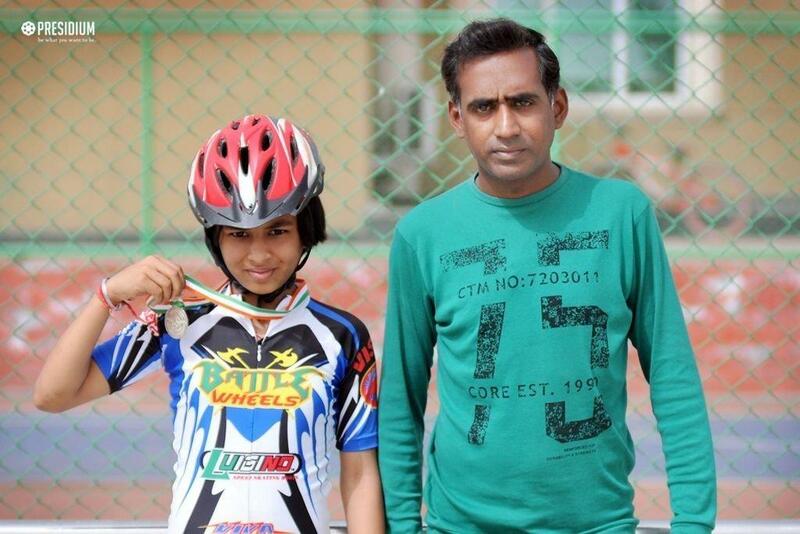 Bhavya Bajaj, Class II, won a Gold and Bronze Medal in the U-8 yrs. category. 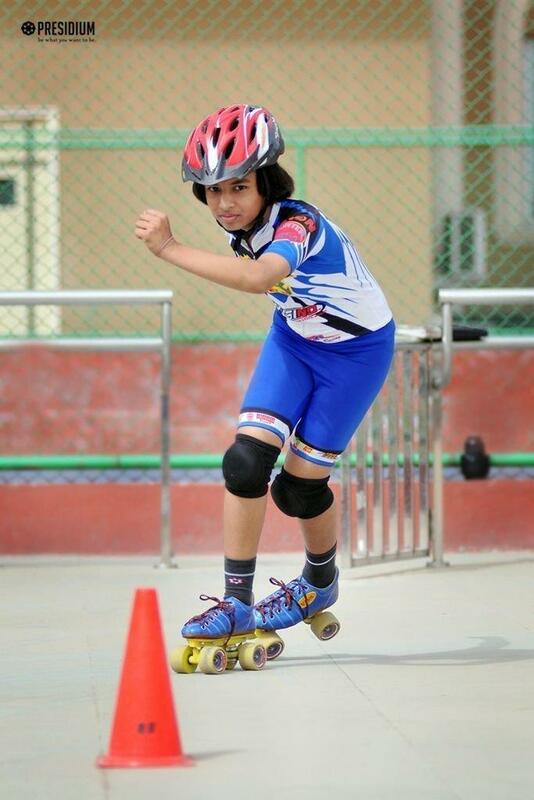 Udhyati Aggarwal Class V, won a Silver Medal in the U-14 yrs. category. 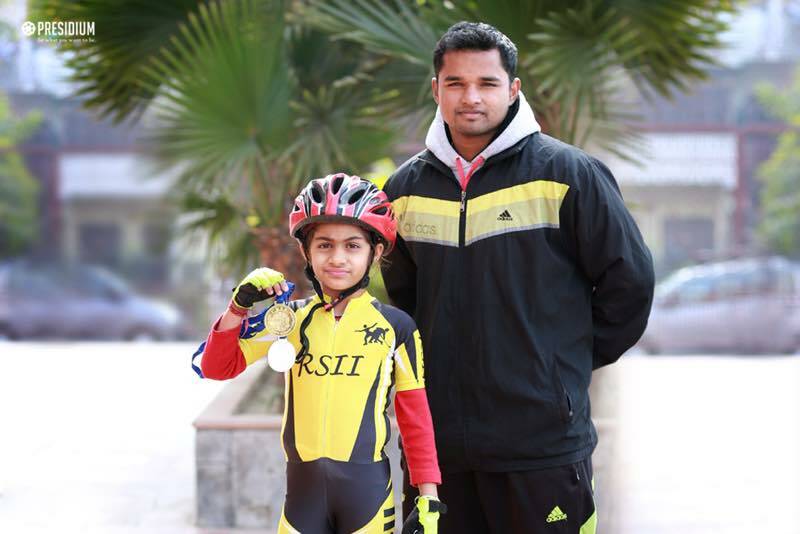 Bhavit Bajaj Class II, won a 1 Bronze Medal in the U-8 yrs. category. Congratulations to the coaches! Well done Bhavya, Udhyati, Bhavit!